What girl would say no to these gifts? Whether you're looking to thank a hostess, complement a girlfriend's ever stylish look, or keep someone's home cozy and bright, these under $50 finds are sure to please. 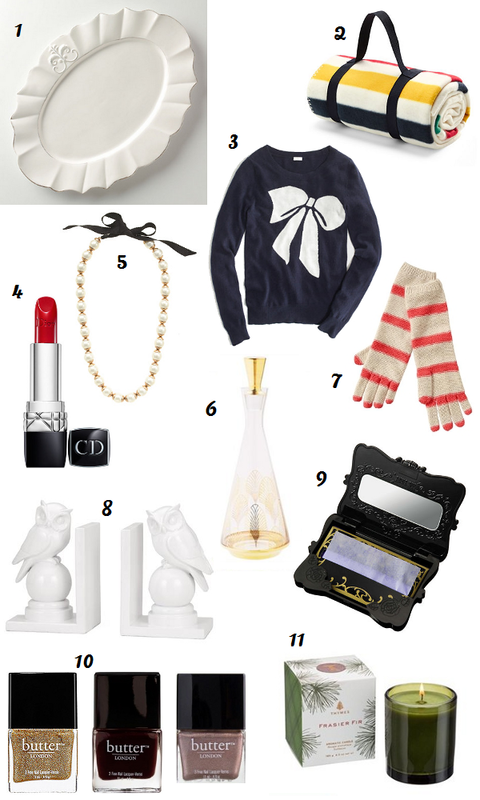 For more, check out the $10 gift guide and the $25 gift guide. this is a great curated group of items for gifts! I think that Anna Sui blotting case/paper is amazing! It makes a great business card case; I get compliments every time I whip mine out. all awesome choices as always. it's so obviously due to their branding but there is something amazing about seeing the hudson bay colors on blankets. i always want one! Haha same! I caved and bought one for the couch. Love it. No one can compete with Eddie.